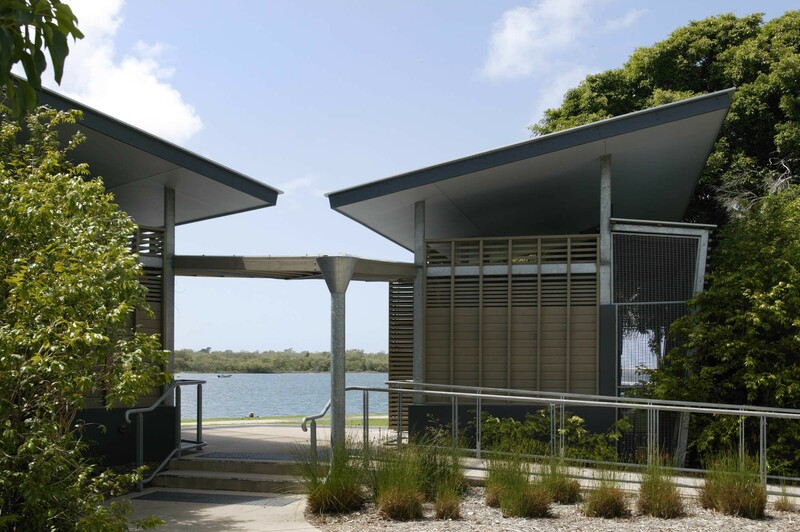 While embracing the character and ambience of the river foreshore, this public amenities building also serves to literally frame the river between two timber pavilions. 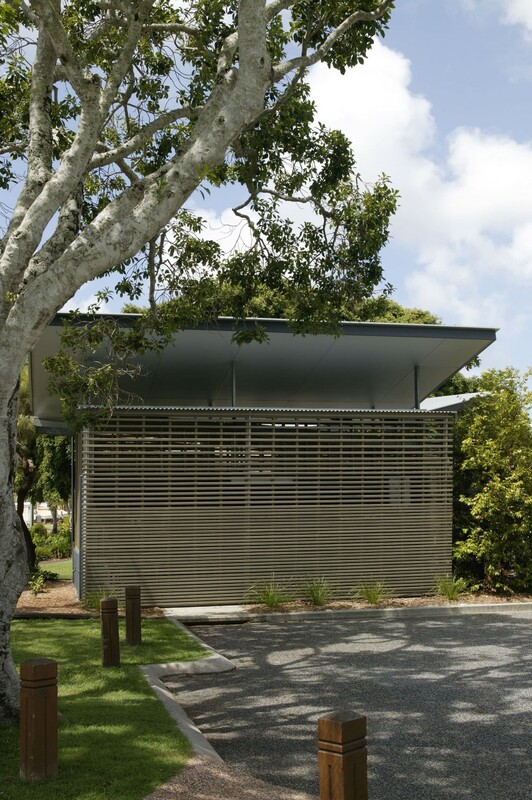 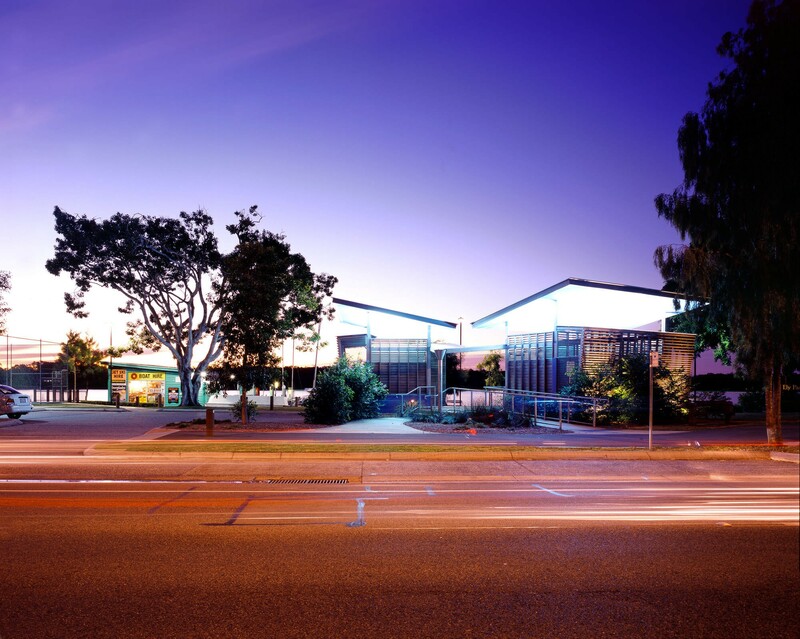 The structures that make up the Noosa River Amenities stylistically refer to the ubiquitous bungalow fishing shacks that characterise Noosaville’s landscape. 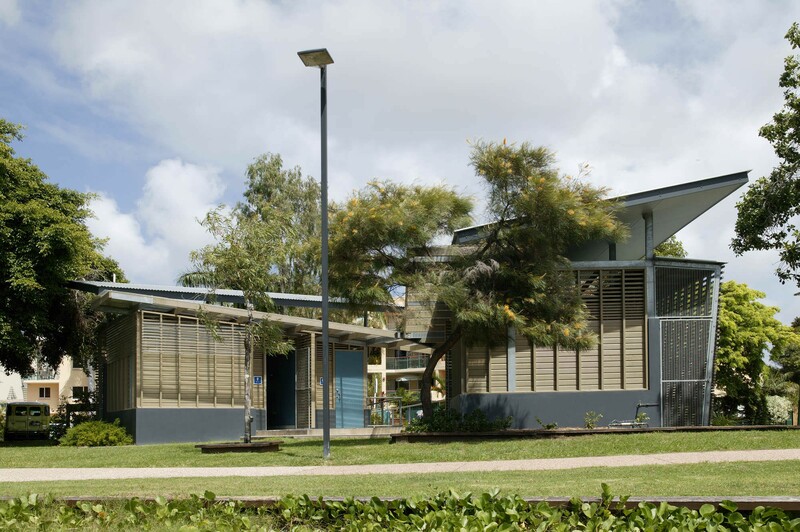 The simple skillion roofs form a ‘butterfly’ and rise to the scale of two formidable fig trees marking east and west. 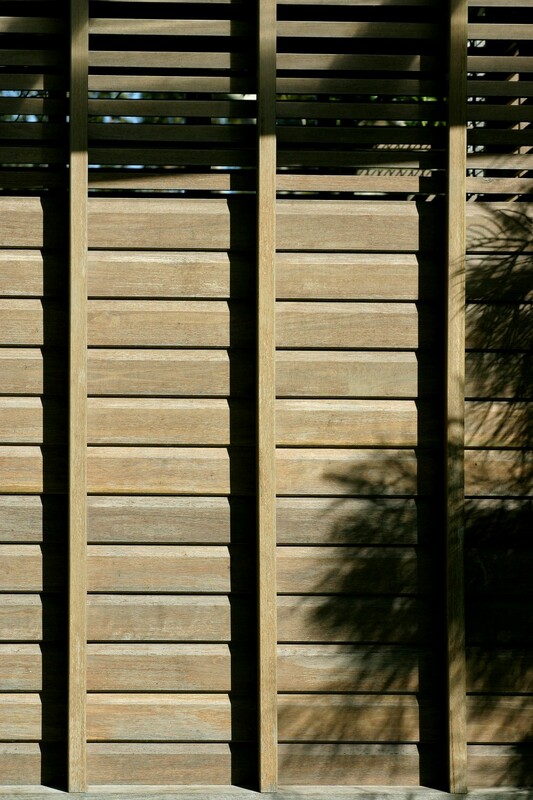 A screen of horizontal timber battens exude a light and airy quality that maintains the essential need for privacy within. 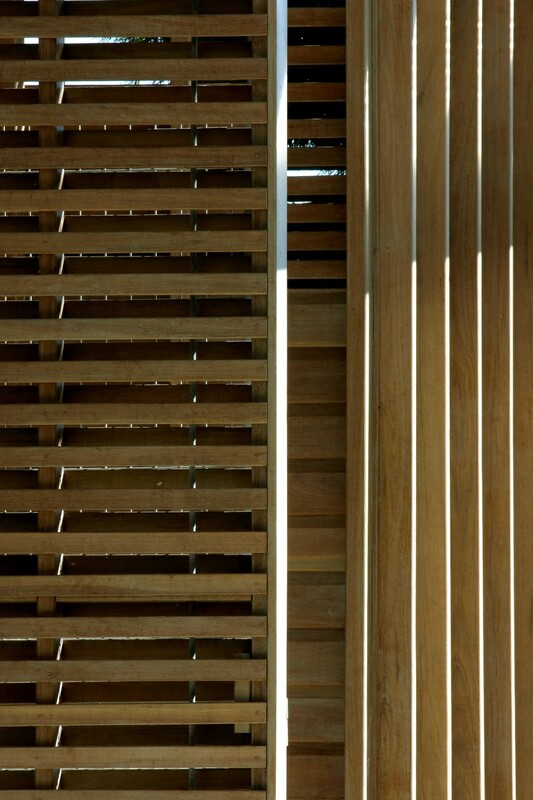 The open screen also encourages maximum cross-ventilation for natural cooling. 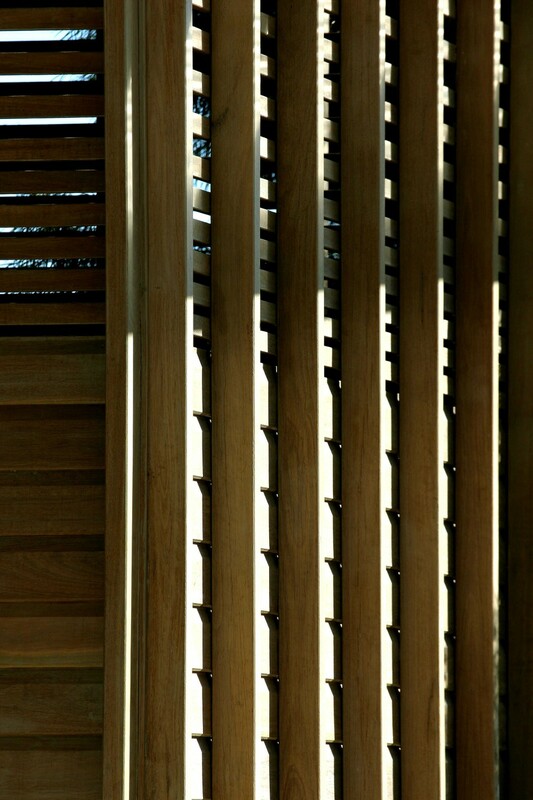 To further integrate these structures with the river and surrounding environment, the timber material used will grey in colour, developing the natural patina of driftwood with age. 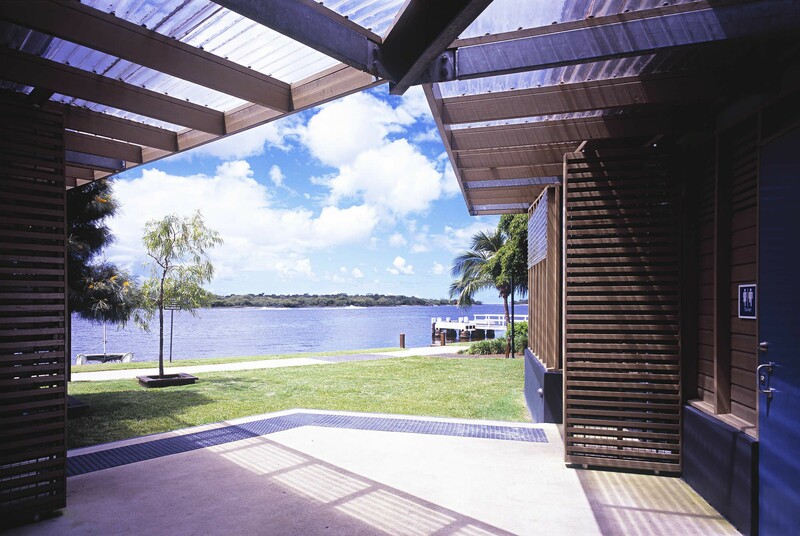 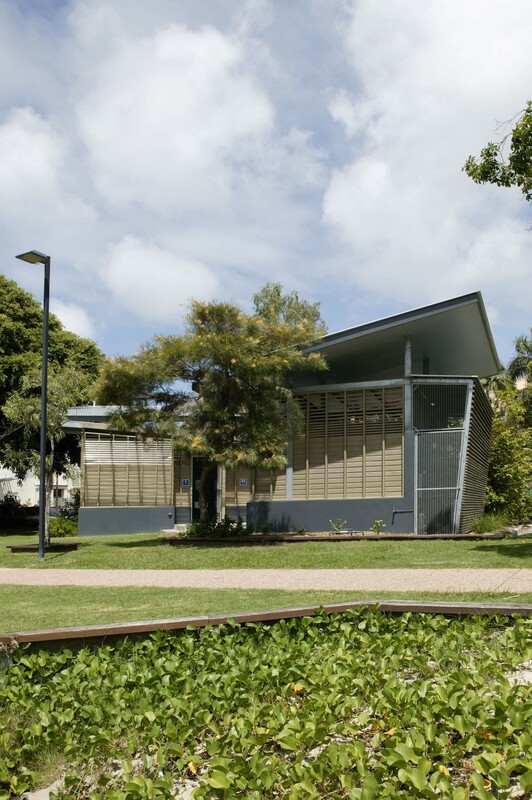 During the construction of the foreshore amenities building, Bark were subsequently engaged to provide architectural and landscaping services for the design and documentation of a new shade shelter: an amphitheatre and refurbished picnic shelters along the Noosaville foreshore, as part of the river foreshore redevelopment plan.